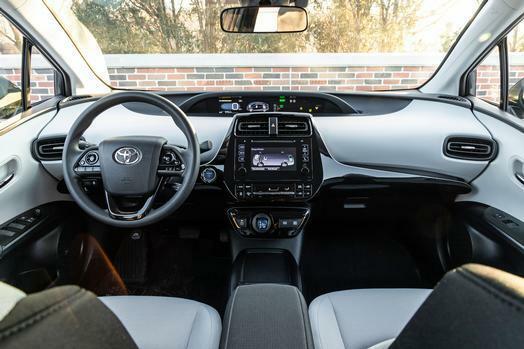 Learn all about the 2019 Toyota Prius and how it can revolutionize your lifestyle. Available at Pedersen Toyota, Fort Collins drivers will love how smooth and refined it handles on city streets and the open highway. In addition, you get all kinds of modern conveniences. To address your many Toyota needs, contact Pedersen Toyota. We offer vehicle servicing, parts, and an amazing selection of vehicles. One of the top reasons anyone becomes interested in the Toyota Prius is its legendary fuel efficiency. What you might not expect is that this car is also fun to drive. This proves that you don’t need to suffer endlessly just to stop visiting the pump often. At the heart of the hybrid powertrain is a 1.8-liter four-cylinder engine. It features sequential multi-point electronic fuel injection and electronic throttle control. Paired to that is a permanent magnet AC synchronous electric motor, while a magnetless rear motor is optional. Everything pairs with an electronically-controlled continuously variable transmission (eCVT) for smooth acceleration. For the first time ever, the Toyota Prius can be had with AWD-e*, or electronic all-wheel drive. It provides increased traction at speeds of up to 43 mph, which is perfect for when the weather takes a turn for the worse here. It’s not surprising that such an advanced car comes with amazing technologies. The Toyota Prius doesn’t just promote great fuel efficiency. It comes with other systems that address several other needs. Some technologies help you to be more aware of possible dangers. Among these is a pre-collision system with pedestrian detection, lane departure alert with steering assist, full-speed dynamic radar cruise control, and automatic high beams. You can also upgrade to a huge 11.6-inch HD infotainment screen. It works like a smartphone, so you can navigate through the menus with ease. An optional adaptive front-lighting system increase visibility through turns. The headlights actually swivel as you turn the steering wheel, improving your ability to see what’s coming around each corner. Saving on gas doesn’t mean you need to suffer with some cramped, impractical vehicle. 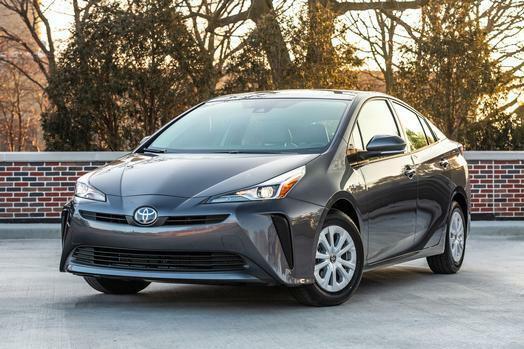 The Toyota Prius is a joy to own because it works for a variety of lifestyles. Instead of feeling like you can’t enjoy life, this car will enable you to do more. First off, the large rear hatch makes loading and unloading all kinds of items a breeze. The cargo space is also quite large behind the rear seats at 27.4 cubic feet, which can fold down to expand the cargo area further to 65.5 cubic feet. Add cargo cross bars to transport bikes, skis, or whatever else on the car’s roof. Three USB ports come standard, so you can keep everyone’s devices charged with ease while on the move. With the optional Qi-compatible wireless charging in the center console and you can replenish your smartphone’s battery without plugging it in. Just reading about the 2019 Toyota Prius is educational, but driving one will provide even more information. Contact us at Pedersen Toyota to arrange for your test drive. *Prius AWD-e system operates at speeds up to 43 mph.